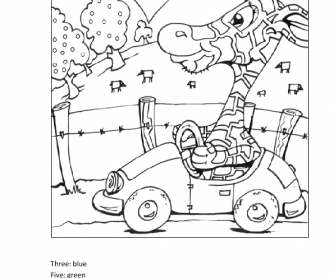 A colourpage to practice numbers and colours for junior classes. 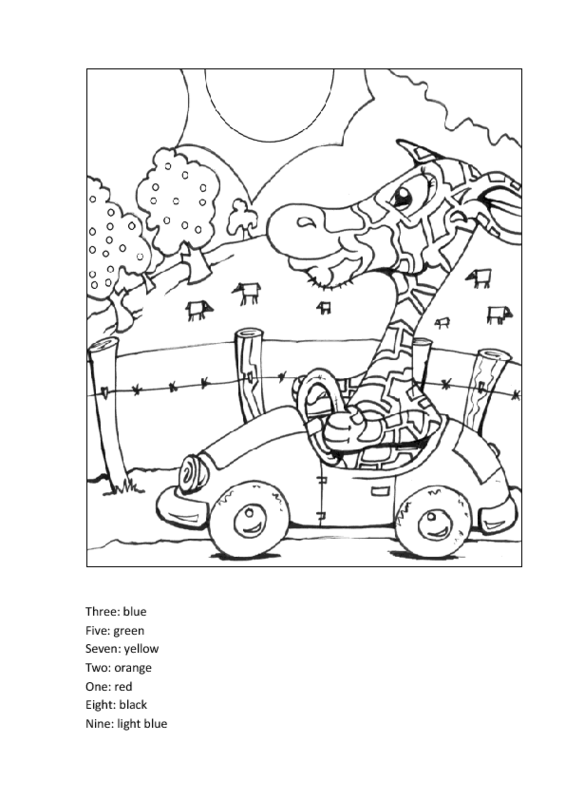 Students have to be able to read the numbers (in letters) understand which number is in the picture and choose the correct colour to fill in the picture, of course they should know the basic colours already, to be able to do so. Just remember to put the numbers on the picture, as you wish, before you photocopy the handout.